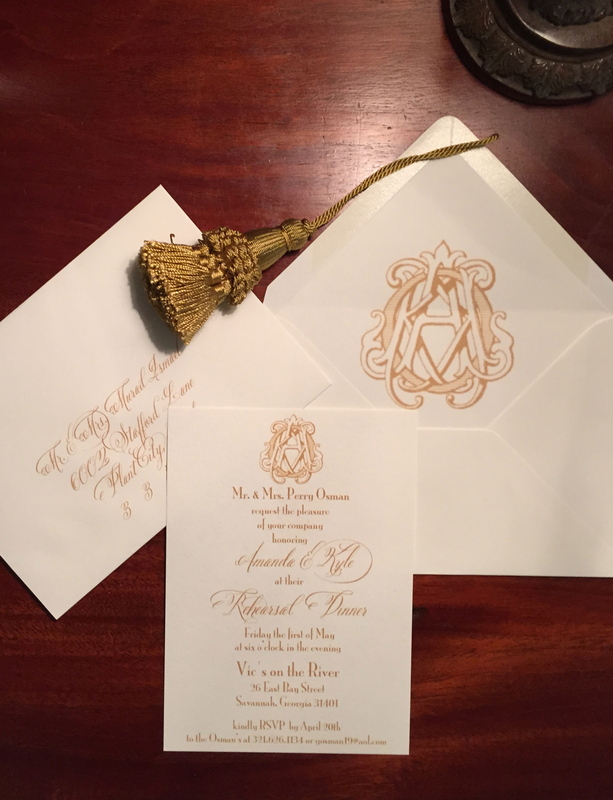 A beautiful couture monogram, the epitome of personalized sophistication, provided a lovely focal point for all of Amanda and Kyle’s day of wedding paper. 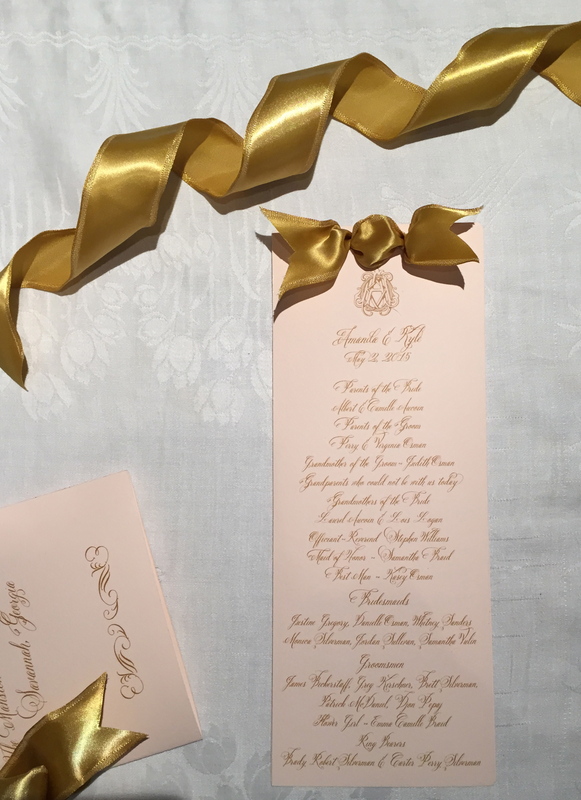 Arturo Rosa Paper with gold lettering and double sided satin ribbon for the guest book and program. 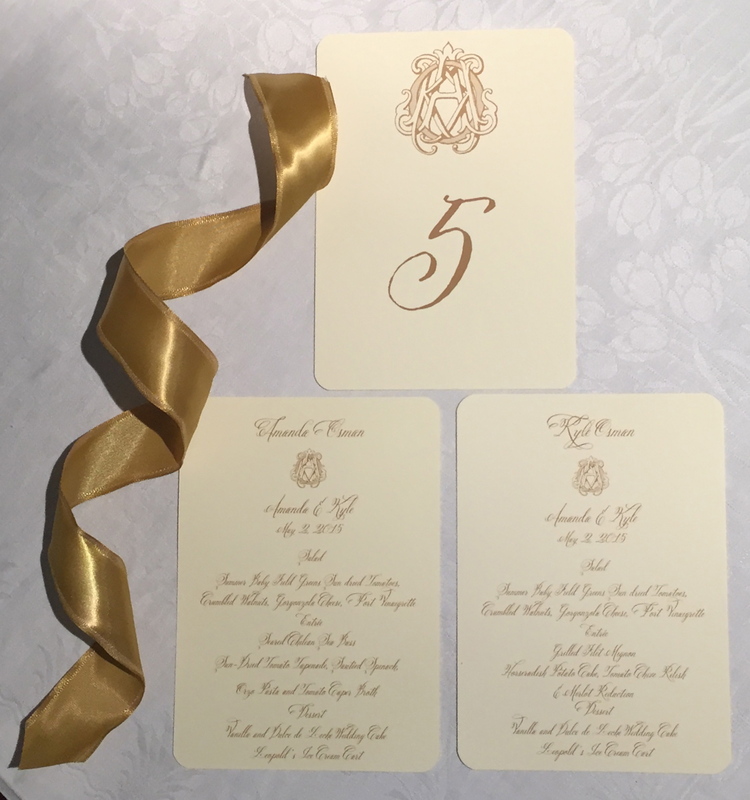 Menu, entree selection and place cards, table numbers. 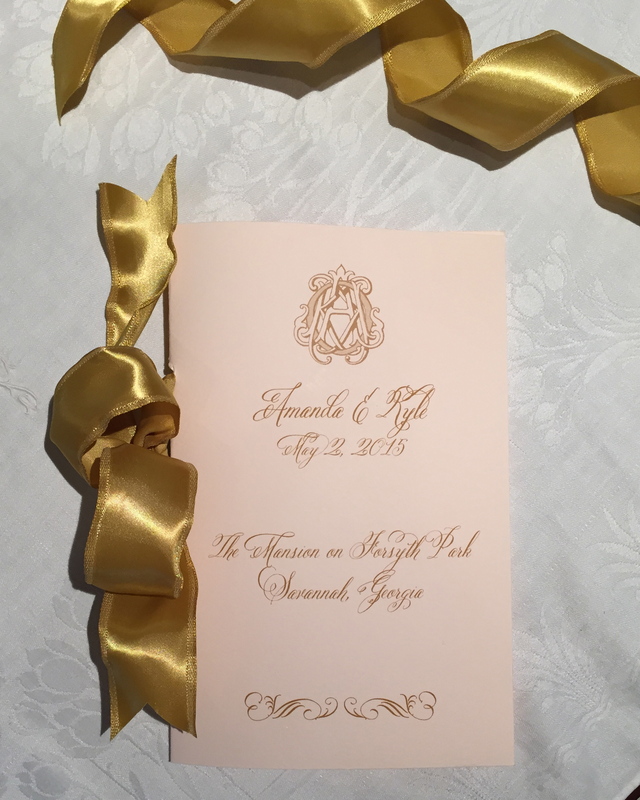 Arturo Rose paper program 4.5 X11, 3 pages, bound by double sided satin ribbon. 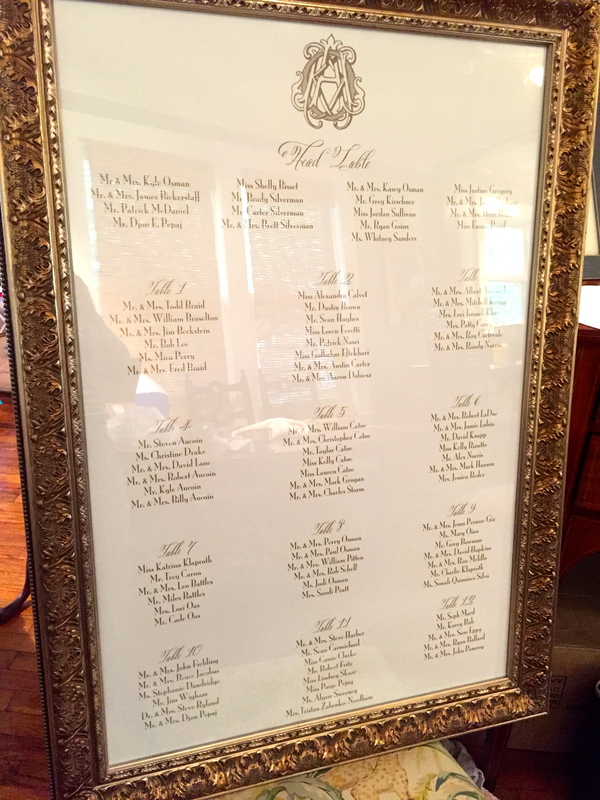 23 X 36 framed seating chart .